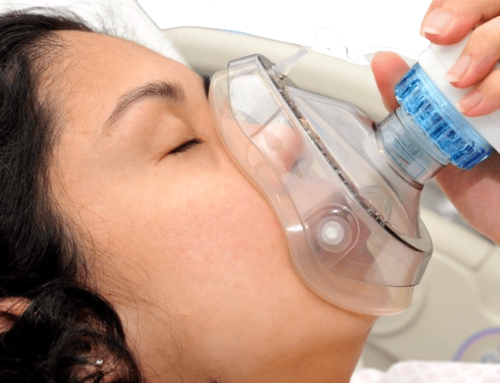 Self-hypnosis is a tried and true way to manage pain in labor, and with it, some women are able to achieve what they describe as a pain-free labor. Self-hypnosis is often misunderstood. It is a form of deep, deep relaxation and one that you have complete control over. It is not done to you – it is a method you engage in yourself. It combines relaxation with positive imagery and language about labor and birth. Self-hypnosis can be taught one-on-one by a trained instructor who can become a coach for you during labor, or it can be learned through books, videos, and recordings that can be downloaded to your phone . This tool can be combined with any other form of childbirth preparation, and it can be used with other supports such as laboring in water. As a midwife, I have had a couple of women I have attended in labor have a pain-free experience. One person I remember in particular, was a life-long meditator. She insisted on complete quiet and semi-darkness in the birth room, and that people not go in and out of the room while she was having contractions. In this way, she set up the conditions for complete concentration and focus on relaxing with her contractions. I was very impressed. When my own daughter became pregnant, I gave her as a Christmas gift a set of tapes for self-hypnosis which one of my clients had shared with me. She practiced with them every day for several weeks before her due date. When her labor began to intensify, she put the tapes on and listened through a headset. I was completely taken by surprise – no one could even tell when she was having a contraction. Within a few hours she was completely dilated and her baby had come down in the birth canal so far that she only pushed a few times to give birth. After 20 years of attending births, I realized that pain-free labor is actually a possibility for many mothers to be. Of course, I wanted my clients to have access to such an exciting way to give birth, and I have shared this method with many clients over the years. Everyone who has actually fully committed to the program – although not every one of them has had a pain-free birth – has achieved significant comfort and pain relief. I find that the challenge to sharing this method is conveying to women that to achieve results you really have to invest yourself in it. I am afraid that the omnipresence of epidurals over so many years now has changed what we understand about how we need to engage with birth. Self-hypnosis takes focus, practice, and the willingness to start listening to your tapes early on in labor to be successful. It is not a passive pain relief method – it is a method that requires deep engagement, before and during labor. Some women who want a natural birth have been concerned that self-hypnosis is a way of disengaging from the labor and therefore, something they don’t want. My answer to them is that, because of the nature of labor, one must be engaged in some way with the contractions, and why not try a way that significantly reduces, or even eliminates, the pain. Women report that they are very aware when using self-hypnosis and that the contractions are very intense experiences, but not painful – that in fact, they are often deeply satisfying. Another concern some women have is what the role of their partner or husband is if they are listening to tapes during labor – won’t the partner or husband feel left out? Not at all! In fact, in my experience, when the person giving birth is more comfortable, the partner is able to be even more engaged and present. One woman told me that when she was practicing and listening to her tapes during her pregnancy, that she was able to more deeply relax and let go if her husband was at home. His protective presence and ability to manage the rest of life – or her needs in labor – allowed her relaxation to go even deeper. An added bonus that women report is that they sleep much better at night in pregnancy as a result of listening to the tapes. In addition to being pain-free or more comfortable with contractions, it is not at all unusual for women to have labors that last only a few hours with self-hypnosis. 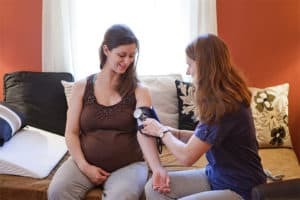 One part of labor that many women have a difficult time coping with is early labor – that period of time when the contractions can feel strong, but that not much dilating of your cervix is happening yet. This period of time can be a few hours, and even sometimes a day or two. When early labor is long, the woman can feel worn out just when her labor is actively kicking in. When early labor begins, I have found that if women have a meal, take a shower, and go to bed with their hypnosis tapes, this part of labor is often reduced to a few hours. It is not unusual for the woman to actually fall asleep and wake up with her cervix several centimeters dilated. Why this method of labor is not necessary for a natural birth and is not for everyone, I can personally vouch for how much benefit it can bring – that it is definitely possible for the pain of labor to be greatly reduced, or not a factor at all. I urge every pregnant woman to consider self-hypnosis for labor. If you are interested in learning more about self-hypnosis techniques and the benefits this process can offer you, call the Monadnock Birth Center today at 603-352-5860, or write to mary@www.monadnockbirthcenter.com.